At the Ultimate Adventure Centre near Bideford families and couples can enjoy a spot of kayaking. The centre has its own onsite purpose-built lake, which is suitable for those over eight years of age and all levels of experience. On offer are two-hour sessions from experienced instructors and all equipment is provided. For more experienced kayakers, off site sessions are also available. Skern Lodge also offers kayaking with sessions available on the River Torridge. The sessions are for either half a day or a full day and can cater for one or more people. Another company offering kayaking is H2Outdoor, which has a range of options on offer catering from the complete beginner to those with more experience. You can either try a relaxed paddled around the local coastline or improve existing skills with a session where you are guaranteed to get wet. All equipment is provided at H2Outdoor and no experience is necessary. If you are looking to get out and about on your own, kayaks can be hired from Bideford Bicycle Hire. From here you can paddle under the long bridge and head up past the saltmarshes to the iron bridge at Landcross. Westward Ho! is a great beach for either learning or honing surfing skills. The beach, which is backed by the pebble ridge is more than two miles long and is known for its good water quality. It is also monitored by lifeguards from Easter through to the October half term. Operating from Westward Ho! is the North Devon Surf School, which is the highest rated surf school in the UK, with a purpose-built centre located just 50 metres from the beach. The school uses winter wetsuits and has heated changing rooms. The courses on offer suit complete beginners, as well as those with more experience, plus all equipment is supplied. The lessons are tailored to suit your ability and are based around the tides. Alternative, beaches for surfing include Woolacombe, Croyde and Saunton, which are located the other side of Barnstaple and are less than an hour drive from Crooked Lake Cottage. Coasteering around the North Devon coast needs minimum skills but provides maximum thrills. Sessions involve jumping from rocks of up to 30 feet, depending on levels of experience, as well as exploring sea caves and turbulent seas. Several companies around North Devon offer packages for Coasteering, however we recommend checking out The Ultimate Adventure Centre and H2Outdoor where you can learn from qualified and experienced instructors who tailor your sessions to suit your levels of experience. Safety equipment is also provided. At the nearby Melbury Reservoir guests can try their hand at a spot of fishing. The picturesque reservoir is well stocked with a mix of carp, bream, rudd, roach, tench, perch and eels and is open all year round from early morning until 10pm. Day permits are available from several agents, including the Bideford Tourist Office. A little further away on the outskirts of Barnstaple is Blakewell, which offers fly fishing for all ages and levels of experience, there is even an onsite café located beside the lake. There are so many wonderful cycle routes within North Devon and many can be easily accessed from Crooked Lake Cottage, where you will find lockable storage for bikes. One of the most well-known cycleways in North Devon is the Tarka Trail, a largely traffic free, tarmacked pathway, which winds its way along the coastline from Braunton to Bideford before heading inland to Meeth on the edge of Dartmoor. From Bideford you can head back towards Barnstaple taking in the scenery as you ride alongside the estuary, a favourite stop along the way is Fremington Quay, which has a wonderful café, as well as several tables for enjoying a picnic. In the opposite direction, cyclists can ride to Torrington, which features the spot that Henry Williamson described as Tarka the otter’s birthplace. More challenging cycling can be found near Lynton and Lynmouth on the edge of Exmoor with National Cycle Network route 277 incorporating large, steep hills with dramatic backdrops such as the Valley of the Rocks. There are two good riding schools nearby that provide horse riding for all ages and levels of experience. In Bideford there is L.A. Stables, which is perfect for enjoying a countryside trek, whilst Follyfoot Equestrian Centre in Westward Ho! is able to provide more coastal rides. Both stable yards have a range of horses and are a great way to see the local area. One of the best ways to see North Devon is on foot. 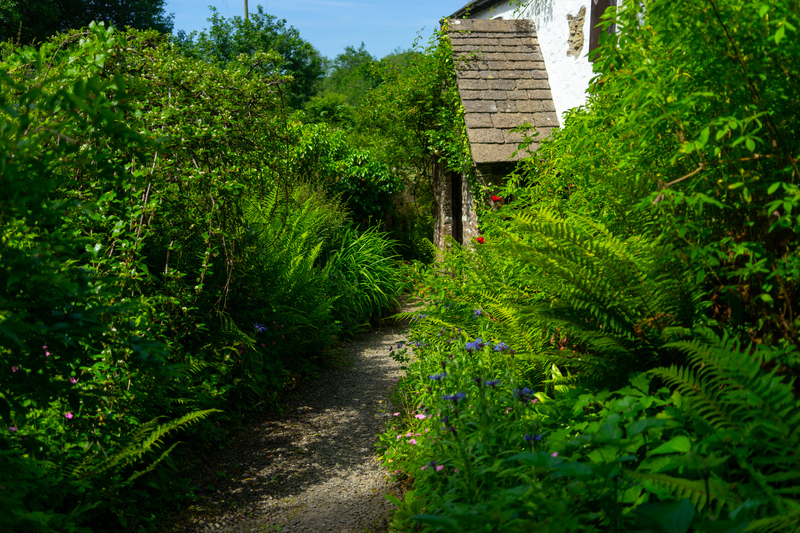 When staying at Crooked Lake Cottage you are surrounded by wonderful countryside and within easy reach are two of the National Trust’s most gorgeous areas – Bideford Bay and Hartland. Look out over Peppercombe Beach as you walk a circular route around the valley or take advantage of one of the Run England’s 3-2-1 routes as you walk to Welcome Mouth. A more leisurely stroll is around the nearby lake, which is the origins of the stream that runs through the cottage’s garden. Further walks can be enjoyed along the South West Coast Path or the Tarka Trail, or alternatively head to Exmoor National Park.